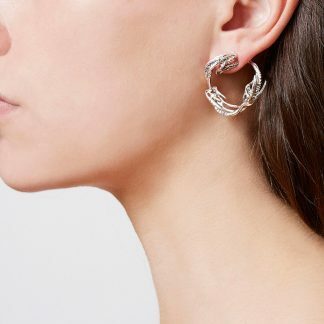 These sculptural hoop earrings are designed to represent Khaleesi’s power and the 3 headed dragons of the Targaryen Sigil. 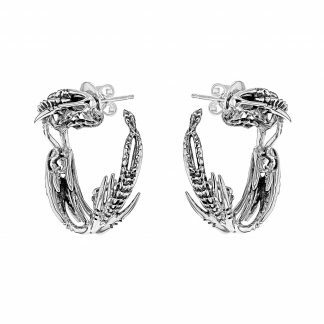 One dragon breathing fire into the next, these dynamic hoops start in front and end tucked behind the ear. 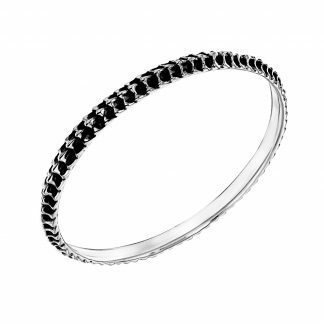 Sterling Silver with a push back fitting. 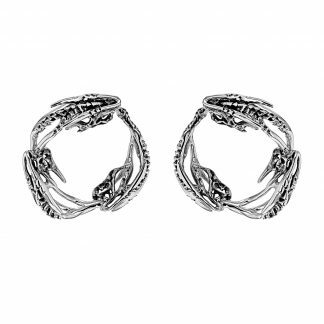 These Dragon Storm pieces are inspired by the Khaleesi Handwrap we created for season 6. In the design process we considered how Khaleesi is a multifaceted personality. She is strong, she is rebellious, and yet she is gentle. 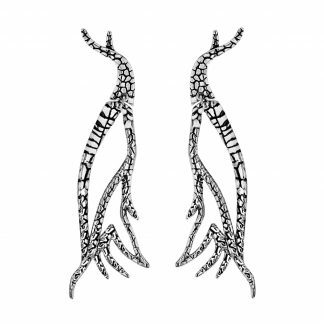 We wanted the jewellery to be this strong and iconic, and to display her mood, allegiance and intent. 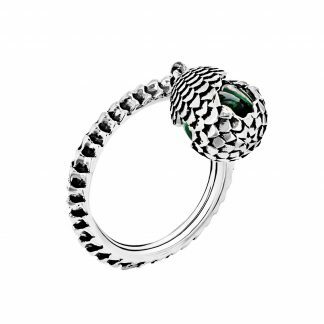 Khaleesi’s jewellery is both a display and a protection, it reflects her personality and also links her to modern men and women and all the things they face. To achieve this kind fragmented sculptural look takes weeks of work, we model up a full dragon and then carve a lot of it away to end with the detail we want. Once the piece is perfected in wax we cast it into Sterling Silver, pouring the molten Silver at 1050 degrees celsius. Then we cut away the casting sprues, refine the metal work, polish and oxidise the metal.